The Schipperke is one of a very protective breed of dogs,it is an energetic and spirited breed, which is very loyal to their masters and family. They are very suspicious with strangers and bark if they see any danger,this breed is not a very intelligent breed they require consistent training, this breed is strong bold and alert which can make a good watchdog, this breed can form a strong bonding to their family. This breed was basically created to hunt so they have some hunting instincts. This breed is very good with children and can be a good household breed if trained properly this jolly, energetic breed is protective and can be a good guard. This breed has double coat the outer coat is thick harsh and long where as the undercoat is smooth and short. 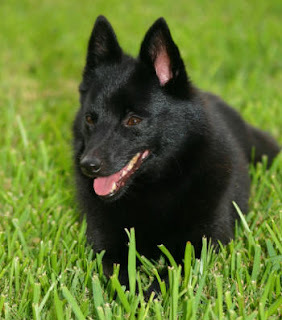 The Schipperke is need consistent training they are not good learner so the training should be given with fairness and patience they will not respond to the harsh and hard methods of training this breed can become very nice if they treated well. This breed of dogs do good in apartments, but a fenced yard would be best for them. They love to run so they need regular training and exercise to remain fit. This breed does not require too much grooming, brushing should be done on a weekly basis and bathing should be done when required, they sheds heavily. Hip dysplasia and hip sockets which tend to slip. It is the dog owners responsibility to maintain the health of your dog, so if you see any signs of illness, check with a veterinary at the earliest. The average life expectancy of this dog breed is about 15 years.